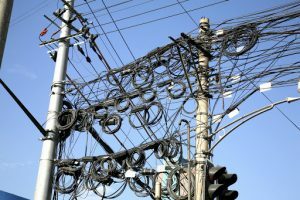 Are you making a presentation that represents the Extension Disaster Education Network? We have the template for you. The new EDEN PowerPoint templates are being used in new and updated EDEN educational programs, EDEN 101 orientation for new delegates, EDEN webinar slides and in other ways. The 4:3 ratio presentation orientations are best used in typical powerpoint scenarios such as a presentation screen or an older laptop. The 16:9 ratio is more appropriate for newer laptops and presenting on televisions. 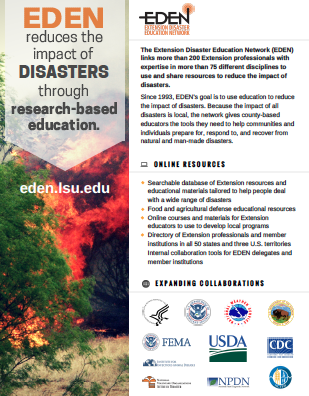 Visit the EDEN Marketing Page at EDEN.LSU.EDU to download these templates. The EDEN Marketing committee was charged with developing a one-page flier for EDEN to be used as a marketing piece with internal and external audiences. The idea was to have a grab and go piece that would express what EDEN is, the goals of EDEN, how to access EDEN resources, and a snapshot of our collaborating organizations. Treye Rice from Texas A&M developed a total of six. They all have the same information about the EDEN organization, but include different photos depicting various disasters. They are designed to be personalized by users to reflect state needs. Please email us if you are interested in personalizing one of these pages for your state or university. 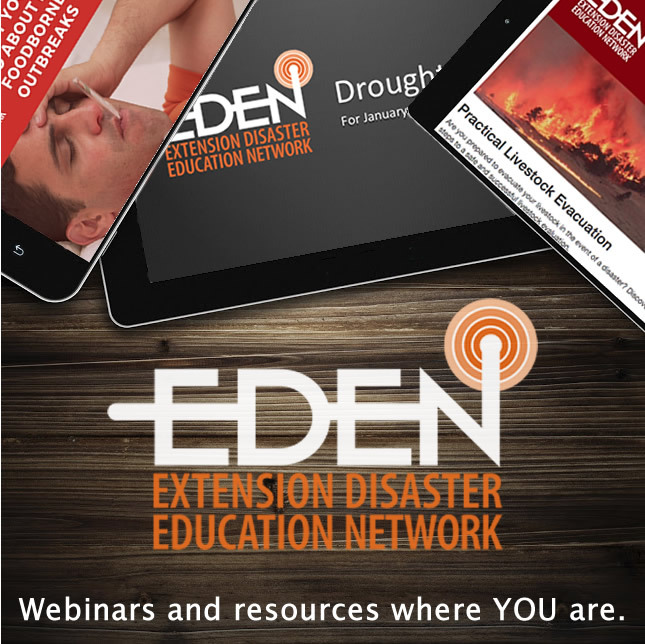 Here’s a list of EDEN webinars that have taken place in the last several months and the webinar schedule for 2016. With topics on everything from livestock safety, preventing foodborne illnesses and exploring the Sea Grant Coastal Resilience toolkit, there is surely something for everyone! Don’t forget you can watch on your mobile devices on the go. Also, if you have a disaster education board on your Pinterest account, pin the image at the bottom of this page, so you can always get back here! Injured animals and animals under stress react differently than they do in normal circumstances. Scott Cotton, Wyoming Extension ANR Area Educator and Dr. John Duncan, Area Veterinary Medical Officer for USDA APHIS explained what to do in this 60-minute webinar. Scott Cotton, Wyoming Extension ANR Area Educator discussed practical steps to a safe and successful livestock evacuation in the event of a disaster. Sea Grant Extension professionals have tried and tested the tools presented by Dr. Katherine Bunting-Howarth, Associate Director, New York Sea Grant and Assistant Director, Cornell Cooperative Extension. If you serve a Great Lakes or Marine coastal community, this webinar is for you. Dr. Soohyoun Ahn discussed outbreak trends and how to prevent outbreaks. Keep your families safe from foodborne illness. Watch this webinar.